This basil is a stunning plant. 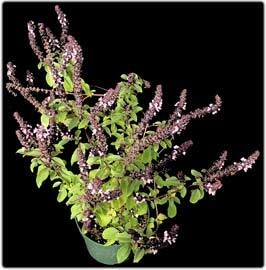 Dark green leaves are veined with purple, yielding lavender flowers on a mounding bush. Great for attracting bees to pollinate the garden. Beautiful dinner garnish.